Let's work together to make your courses safer! 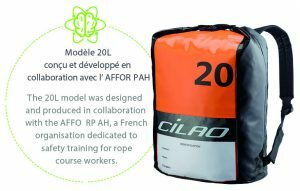 The 20L model was designed and produced in collaboration with the AFFORPAH (French organization dedicated to ropes course safety training operators). We wanted a backpack that fits our specific job, with an ideal volume for our rescue-kit rope. 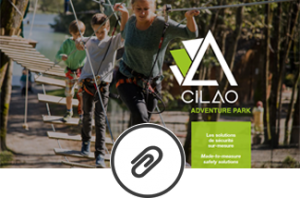 CiLAO immediately agreed to develop the project and the contact was very easy. 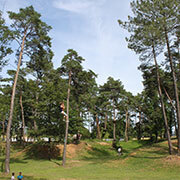 We had a very dynamic and human collaboration. 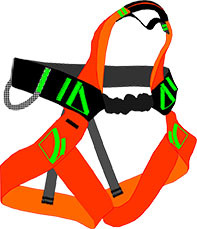 I have been using the DRAGON harness since 2010. I am very satisfied by the buckleless concept (easy to suit on), the price, and the lifespan.